Eating in the Big Easy! Steve and I took a re d eye and arrived in New Orleans at 5 am. First and foremost on our to do list… find COFFEE! At the advice of a friend we made our way to the famous Cafe Du Monde, home of the most delicious beignet ever created! If you’re not familiar with the beignet, it’s a French pastry much like a donut without the hole. It tastes a lot like a funnel cake, but a whole lot better. The Cafe portion consists of 3 beignets, which is the perfect size to share with a friend. I recommend pairing it with a Cafe Au Lait. One tip, don’t wear black, the beignets are smothered in copious amounts of powdered sugar! 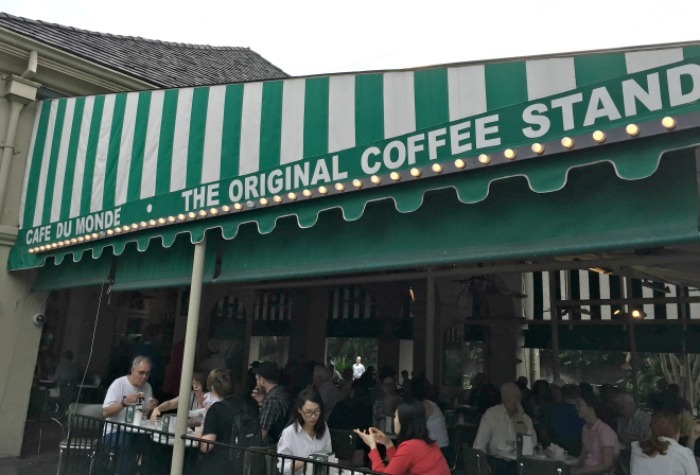 Cafe Du Monde was founded in 1862 and is situated just beside and “below” the banks of the Mississippi River on Decatur St. in the French Quarter. In addition to beignets they serve coffee and chicory, milk and juices. 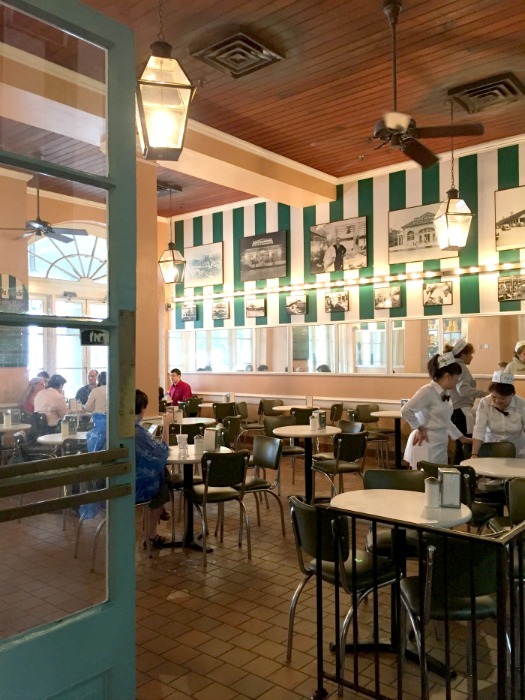 For breakfast, afternoon snack or late night munchies, Cafe Du Monde is open 24 hours and per their website, they are open every day but Christmas and during the “occasional hurricane”. Given it’s proximity to the levees that could be a little intimidating! Regardless, don’t leave New Orleans until you’ve made at least one visit to Cafe Du Monde. We made several trips at all times of the day and night and the pastries and coffee were hot and fresh every time. A full patio, both day & night! Our first dinner was at Pat O’Brien’s on Bourbon Street. Carol had done her homework and learned that Pat O’Brien’s is the home of the original world-famous Hurricane. 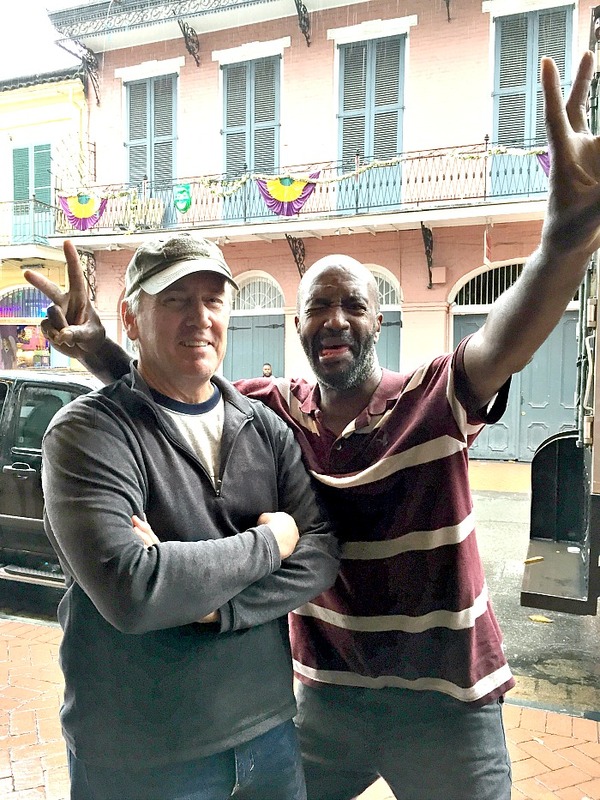 After tasting the delicious rum drink, and loving it, we sampled other variations at competing establishments and decided hands down that Pat O’Brien’s serves the best Hurricane in all of New Orleans! After our Hurricane “appetizer”, we ate at Pat O’s Courtyard Restaurant. The courtyard is expansive and features 3 bars and dualing copper pianos 7 days a week. I ordered the shrimp and grits and it was very tasty with just the right amount of heat. If you don’t think you like grits, try them in this dish, you may change your mind. 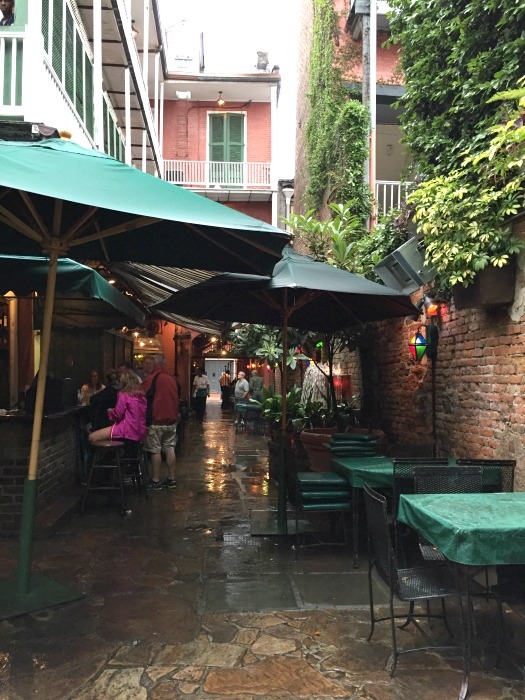 If you are planning a trip to New Orleans, we suggest you make this one of your destinations, if not to eat, at least to experience the Hurricane and enjoy the relaxing courtyard while you people watch. We guarantee, you’ll meet a few interesting folks! 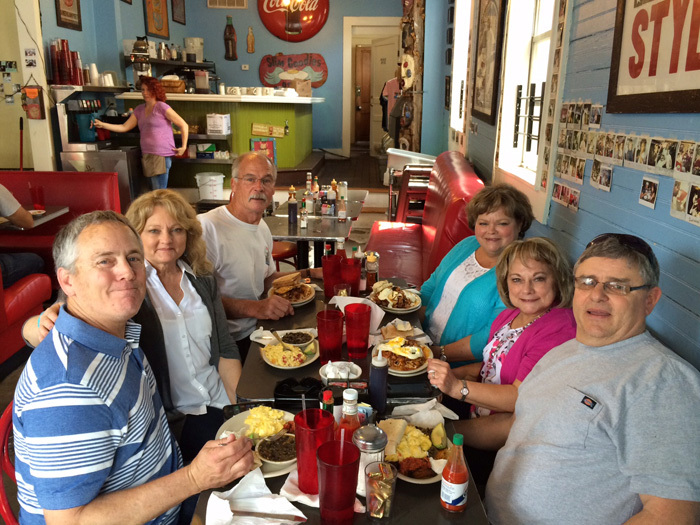 Since we were staying in the Garden District we decided to take a short walk to a local uptown joint for breakfast. 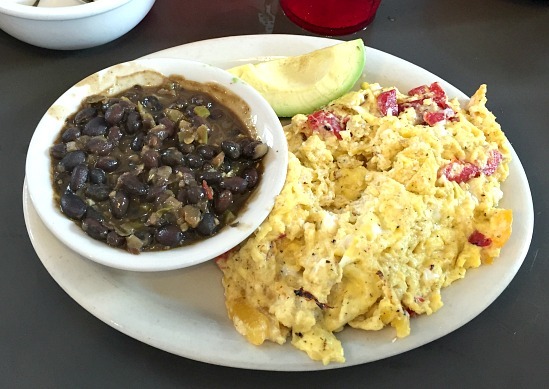 Slim Goodies on Magazine St. is the quintessential NOLA diner. When you enter the front door it’s like stepping back in time, the atmosphere and decor doesn’t seem to have changed in the last 5 decades. 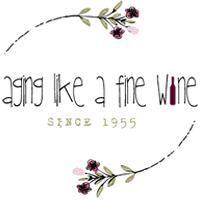 They have a great breakfast menu and serve a slammer for just about every pallet imaginable. The “Little Goat”, scrambled eggs with peppers marinated in pesto and topped with goat cheese, was delicious! Our waitress was great, very nice and patient in answering our many questions about directions and sites to see in the city. After a long day of walking, we stopped at Cafe Pontalba. We three sisters had predetermined we would NOT leave New Orleans without eating alligator. We had held an adorable baby alligator on the swamp tour the day before. The tour guide had assured us that alligators are protected, hunters are issued tags and strictly regulated so as not to over hunt. Knowing this relieved our guilty consciences and we dug right in. The alligator had what I would describe as the consistency of pork, a little denser than chicken. The fried alligator was very good, but the general consensus was that the blackened was by far the best! The food was good but the view even better! The restaurant is housed in the oldest apartment building in America. Two walls of the restaurant are clad with floor to ceiling doors that open to the street and Jackson Square with a perfect view of St. Louis Cathedral just across the street. Weather was great, not too hot. An occasional burst of rain, and the overcast skies kept the temperatures down so it was the perfect time to sit next to the open window. 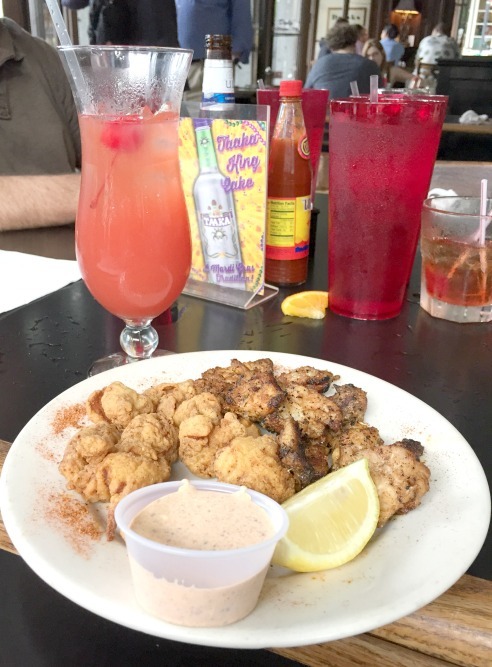 With the plethora of authentic Creole and Cajon restaurants in NOLA, there are lots of spots to try blackened alligator but we suggest you try it at Cafe Pontalba at least once. Fried and blackened alligator, delicious! 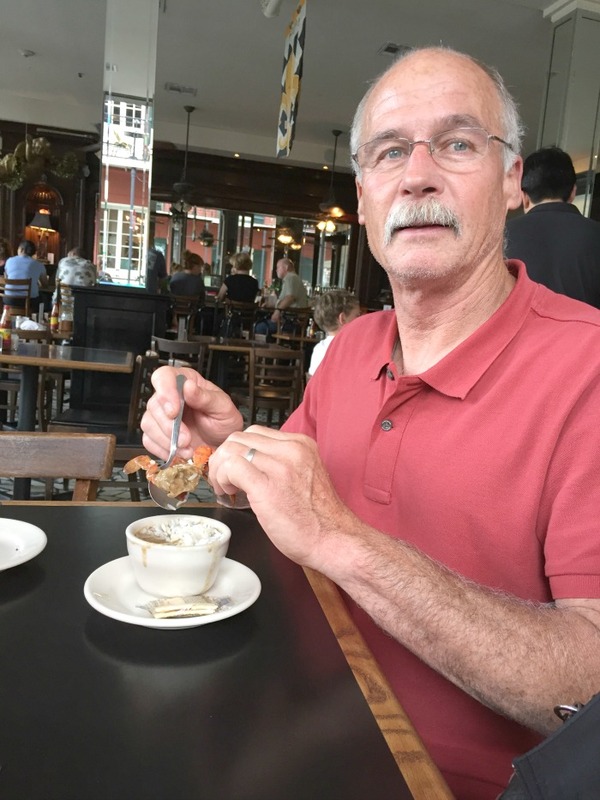 Market Cafe – Open air or indoor dining with a live jazz band at the point where Decatur and St. Peters Street meet in the French Market. We enjoyed the muffuletta sandwich and watched a couple of very talented ladies perform dances to the live music. The muffuletta is huge! If you’re not really hungry, order 1/2 or share with a friend. 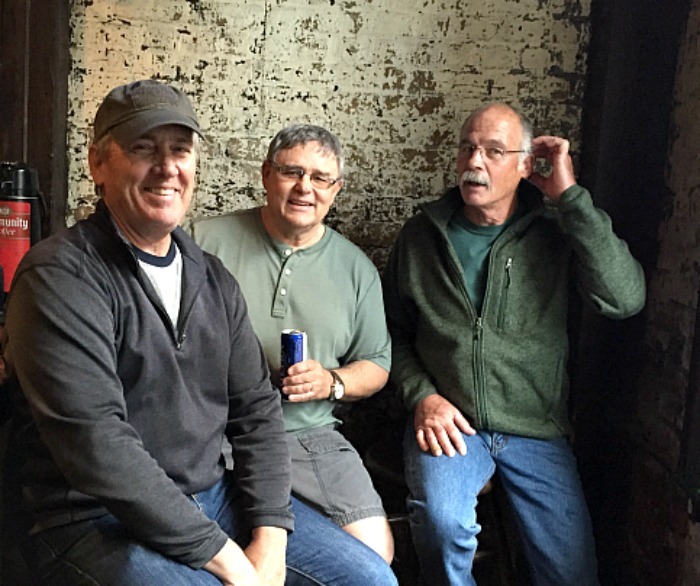 Rock ‘N’ Bowl – We stopped by for a beer on the way to the airport. Don’t be fooled by the outside, venture in for a few. Located in the Cajon Country of Lafayette. A locals spot known for their award winning fried bread pudding poboy, terrific music and authentic Cajon dancing, this would be a definite stop next time around.